Margins of up to £338 can be achieved by increasing UK sow litters to 21 piglets says a leading expert. 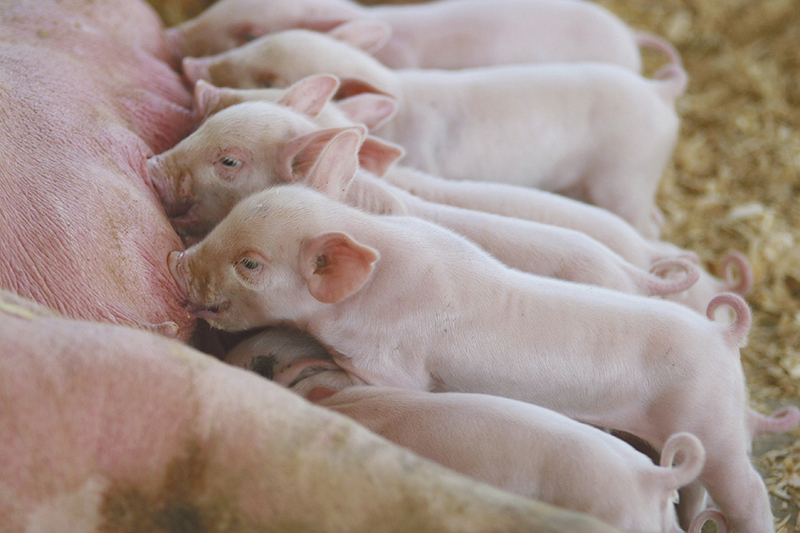 Using findings from a peer-reviewed study looking at the variation of piglet birth weight and overall performance, Dr Steve Jagger, pig nutritionist at ABN, has calculated the optimum economic margin for UK sow litter sizes. The results have shown that a financial benefit can be obtained by producing significantly more piglets in a single litter, when taking into consideration typical mortality levels. Dr Jagger has identified a preferred margin of 21 piglets when taking into consideration both piglet welfare and survival rates, in conjunction with farm profitability and setting manageable margin targets for farms. “We’ve based the calculation on the number of piglets weaned, growth rates over a 23-week period and the value of the whole litter at 23 weeks, to identify the total margin per litter” said Dr Jagger. “This offers a real opportunity for producers, particularly with the volatility in commodity and pig prices to contend with”. Despite the associated risk in increasing litter sizes, ABN are continuing to investigate further, looking at optimum diet plans for the modern sow during gestation and at the point of birth. In conjunction with the University of Leeds, ABN and AB Neo are currently undertaking a four year PhD research project looking into the effect of maternal nutrition on piglet viability.